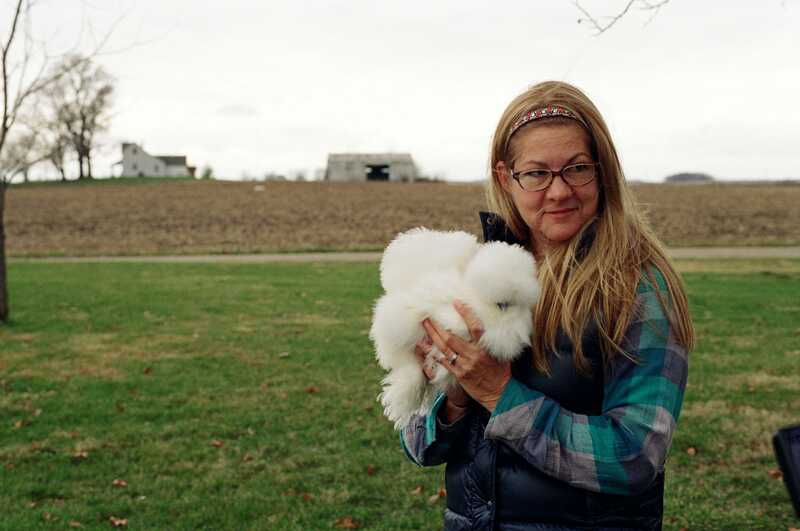 ‘Chicken People’ is a funny, tender documentary exploring the weird and wonderful world of poultry shows and the people who breed for them, writes Ellen Hardy for The Poultry Site. 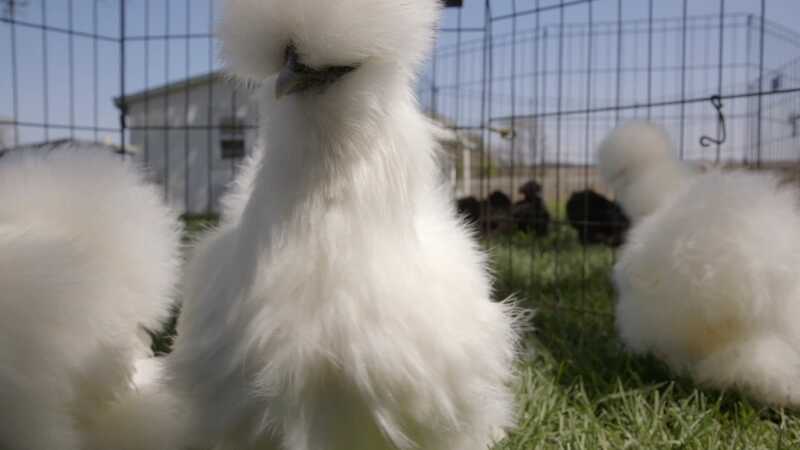 These aren’t your average broilers or layers; they’re primped, cosseted show birds with carefully constructed family trees and a stringent set of beauty standards. poultry, and elevates the pastime far above the everyday. Director Nicole Lucas Haimes tells us about noisy show halls, dodging avian flu, and birds that look like Bowie. What originally drew you to the world of competitive chicken showing? About five years ago, when my son was just about to turn 12, there was a fad at his elementary school in urban LA: all these little kids were running around going “Chicken chicken chicken!” very intensely. It was just a joke, I don’t even know where it came from – they just thought the word was funny. But I bought him a book of beautiful chicken portraits, and when we were looking through it I saw this teeny tiny mention that people competed them. I was like, “You’ve got to be kidding! People compete chickens? !” That kind of got me up and running. The film sets a sweetly nutty tone to begin with – but many of the competitors seem to have found solace in their chickens out of quite difficult situations. Did you originally set out to explore this dynamic? For this kind of film, it was really the relationship between human and chicken that I wanted to explore. There was a big “why?” Why are they so invested? It’s always a very intimate dance between the subject and what they’re willing to reveal about themselves to the filmmaker. This is going to sounds so odd, but many years ago I was producing a documentary that my husband directed about Alfred Hitchcock [Ted Haimes’s 1999 film ‘Hitchcock: Shadow of a Genius’, narrated by Kevin Spacey], and in the process met Joe Stefano who wrote the screenplay for ‘Psycho’. And one of the brilliant things about ‘Psycho’ is that they killed the main character in the first 20 minutes. You think you’re in a movie about a woman having an affair and then suddenly you’re in a horror show. So I knew you could do that to an audience: I wanted them to come in and think this was going to be a very entertaining, silly piece about chickens, and then there’s a turn. The lighthearted layer continues, but we start to go deeper and explore the people. I learned that from Joe Stefano! Were you surprised by the status accorded to poultry and the scale of the events? Oh my God, yes. I mean, you can’t imagine – a gigantic hall, bigger than a football field, filled with the sound of squawking. It was the loudest thing I have ever heard. We had walkie-talkies and we couldn’t hear one another over the walkie-talkies – it was a total fail. The scale was remarkable. You can’t imagine that many kinds of chicken, that many kinds of people, all in one place. Everyone portrayed seems gently determined to win. But did you come across any darker aspects to the competitiveness? Mostly the world is incredibly collegial. But you hear stories – we didn’t get into this, but about people cheating. They’ll put marker on the comb to make the comb redder, things like that, but I don’t think I ever heard stories of intentional sabotage – that would be going too far! Avian flu makes a dramatic appearance, cancelling the main event – the Ohio National Poultry Show 2015 – the subjects have been preparing for. How did this serious disease outbreak affect both the filming and your view of the challenges facing the poultry industry? We thought that the network would kill the movie. Millions of birds were exterminated. States were closing down their borders; they stopped interstate transport of chickens, no one knew how long for. We could hardly ask state veterinarians – who were looking at an entire industry being wiped out – if they could they please make an exception because we’re making a movie. We couldn’t even try – that would have been ludicrous, given how serious it was for commercial farmers. We ended up filming the close of the movie at a show in Knoxville, which was a wonderful show but it was definitely smaller. The camera gets very close up with the various birds, showing them almost as artistic objects. 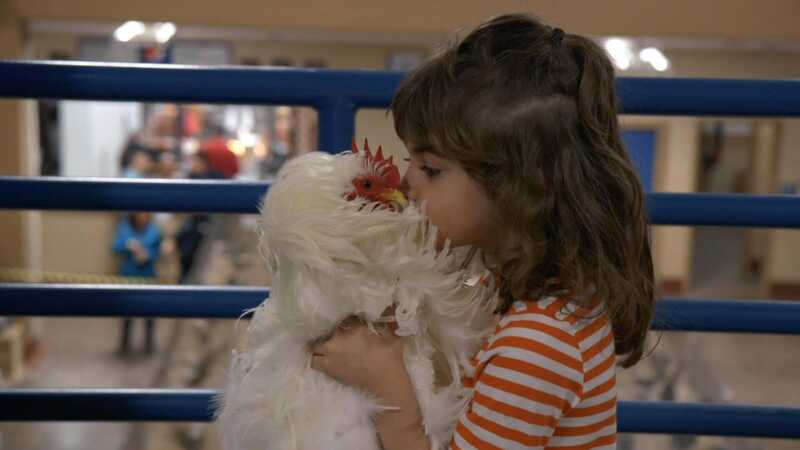 Have you developed an affection for any particular chicken or breed as a result of filming them? I have, I have! They’re so beautiful, and somewhat insane-looking. There are two birds I love – one is the Speckled Houdan, which has a crest but of the body an ordinary chicken, so it kind of looks like it’s been clapped together. And the other chicken I love is the Polish rooster, which looks like David Bowie from his Stardust days. 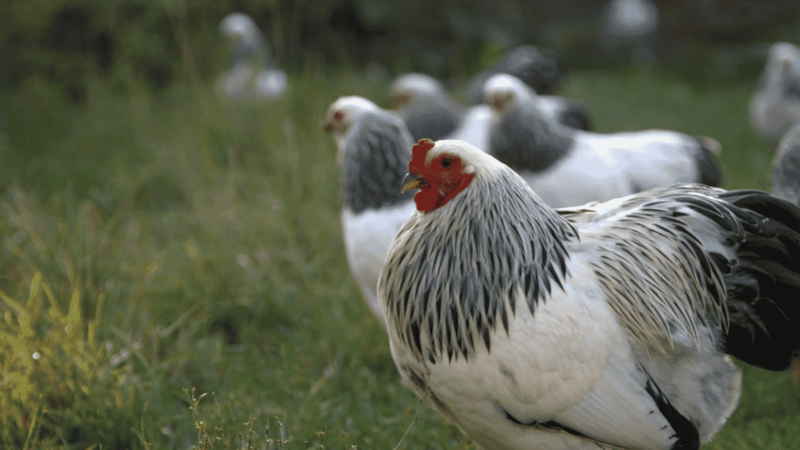 Have you been inspired to start keeping chickens? When we were filming the Ohio National I had a Polish rooster in my hand, and I asked someone to take a picture. I texted it to my husband, and he wrote back: ‘Don’t you dare.’ No other words needed! What message would you like audiences to take away with them? Have you ever read Viktor Frankl’s ‘Man’s Search for Meaning’? Frankl was a Holocaust survivor, and in the camps he observed that the people who survived were the ones who had purpose and someone to love. It didn’t need to be a grand purpose, it could be very small and human – like, I want to see my niece graduate high school, or have a baby. And that’s the sneaky message of ‘Chicken People’. We all need a reason to get up and move on to the next day, and life is hard a lot of the time. How do we cope? So it doesn’t matter what the hobby is, if it’s a vehicle for self-exploration and for self-growth. And how incredibly wonderful, how amazing that this can happen on the terrain of chicken competitions. 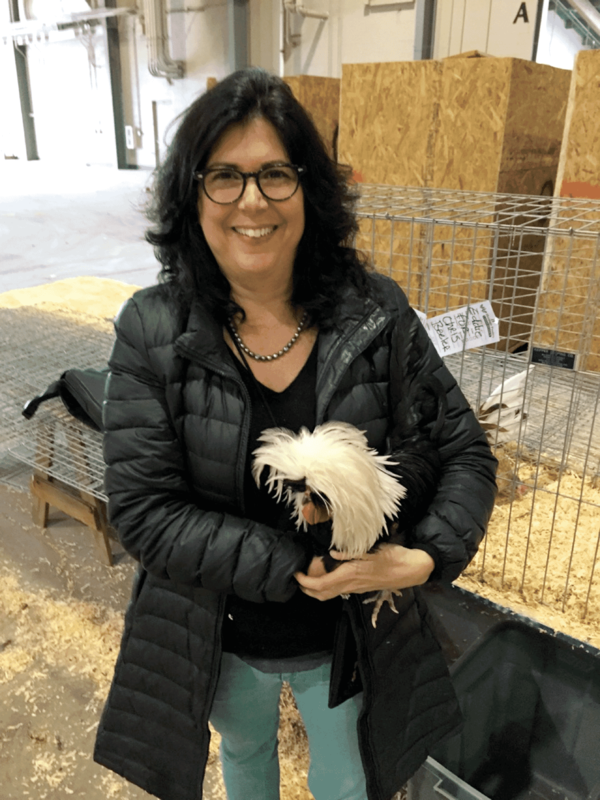 In particular, I found that when [champion Silkie breeder and recovering alcoholic] Shari said that chickens made her brave, she had found purpose and meaning. Chickens truly changed her life. ‘Chicken People’ was released on 23 September 2016 and is available now on iTunes.